Kind of a gray day today, I'm trying to brighten it up a bit with the shiny blue dial on the PADI Turtle. 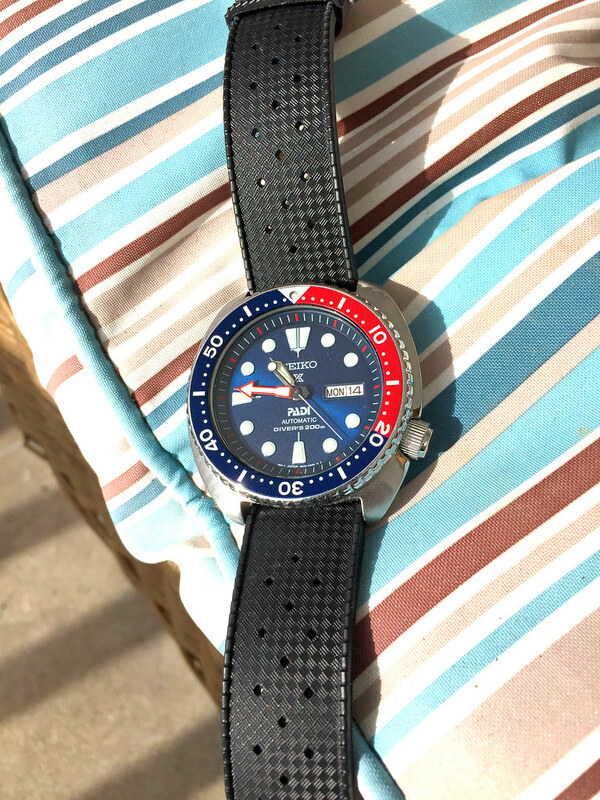 Really enjoying the combination of this watch and the Uncle Seiko vintage tropic strap. For once the picture of the watch & strap is correct!